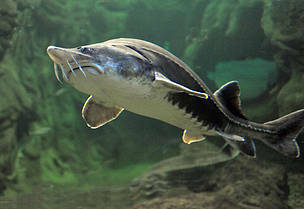 Strasbourg - After decades of plummeting numbers due to poaching and habitat loss, Europe’s sturgeon species have been given some much needed hope at last after 50 European countries and the European Union today signed up to a detailed continental-wide action plan to save the iconic fish. “Cracking down on poaching and the illegal trade in wild caviar will buy the necessary time to allow other conservation efforts to safeguard the species in the long term to become functional”, said Jörn Gessner, sturgeon expert at World Sturgeon Conservation Society. “Countries need to do more than just sign this agreement, they must urgently take steps to implement it and work together: otherwise we will witness the extinction of these species in our lifetime.” Sturgeons are ideal umbrella species due to the fact that they live long, mature late, and use many different habitats. Measures to improve habitats and integrity of populations taken for sturgeons will also benefit other species and communities. As such they are invaluable as indicators for environmental health. The historic agreement comes a few weeks after WWF’s Living Planet Report highlighted the catastrophic decline in freshwater species – populations of which have fallen by 83 per cent since 1970. The decision also comes as the world is meeting in Egypt at the 14th Conference of the Parties to the Convention on Biological Diversity (CBD) to discuss ways to halt the destruction of the natural world.